Getting a visa for Burma (Myanmar) in Bangkok can seem difficult as there is a lot of conflicting information out there, but the process isn’t quite as hard as some would have you believe. Getting the visa is fairly straightforward, but making sure that you have all of the necessary documents available is important. Processing takes two business days (i.e. submit forms on Monday morning, visa is ready for pick up Wednesday afternoon). A same-day visa is available; proof is required in the form of airline tickets departing within 48 hours and costs 1,260 baht and a next day service is available for 1,035 baht. Arrive at the visa office early as only so many visas are processed each day and you need to get a number. The visa office opens 9:00–12:00 and 15:30–16:30. Upon arrival, line up for the form (not available online) and immediately fill it out. The employment history is on the rear side of the form and is designed to weed out possible aid workers or journalists entering on a tourist visa; if you are an aid worker or a journalist (or have things in your employment history that might suggest that you once were or possibly will be) you might want to consider some creative revision of your past. Your correspondent has enjoyed a long career as a carpenter and brewer. Return to the window for a number – applicants are only given a number when your application is complete. Wait until your number is called, and then proceed to be interviewed and pay the visa fee. Most applicants are not asked any serious questions in the interview (it happens at the window, not in a locked room in the basement) but might be required to confirm departure dates or airline tickets – bring copies of your itinerary. Applicants are given a receipt with a date stamped on it. Return to the embassy on the day indicated and pick up your visa, process complete. If you are after an express visa, you must have a printed out copy of your flight ticket. A screenshot on your iPhone is not acceptable. 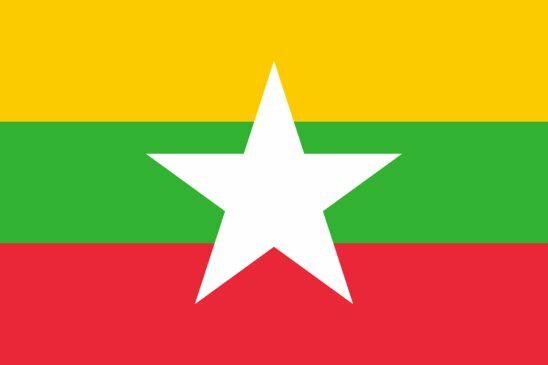 The Embassy of Myanmar enjoys many public holidays (as we learned at great expense… twice), including every Burmese and Thai holiday, plus a few extra random days for good measure.